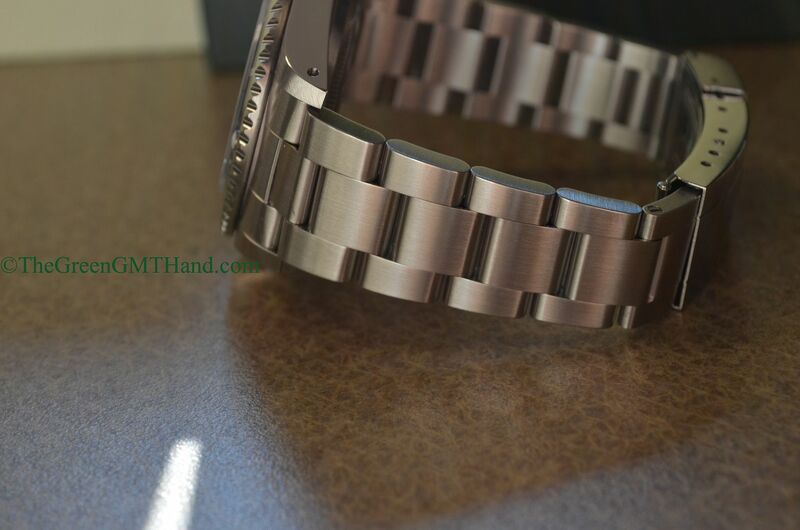 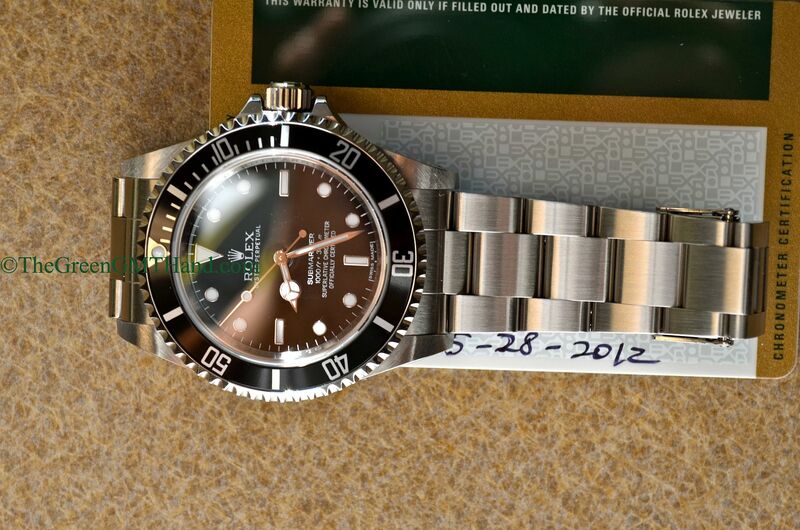 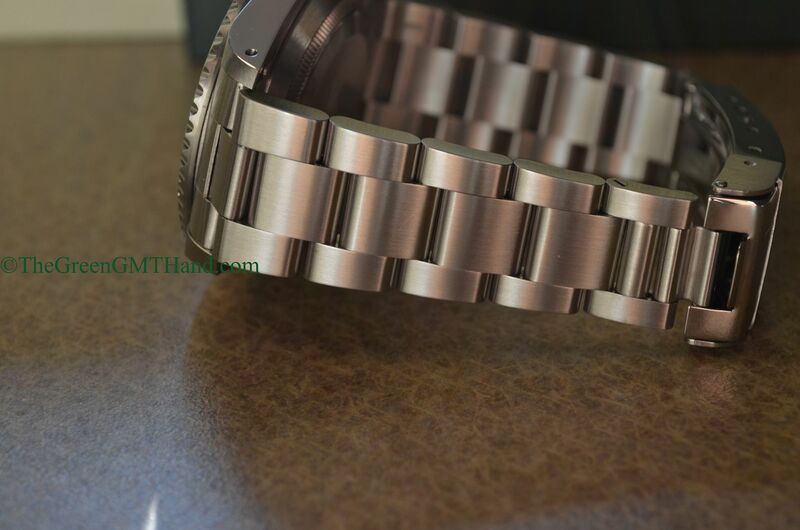 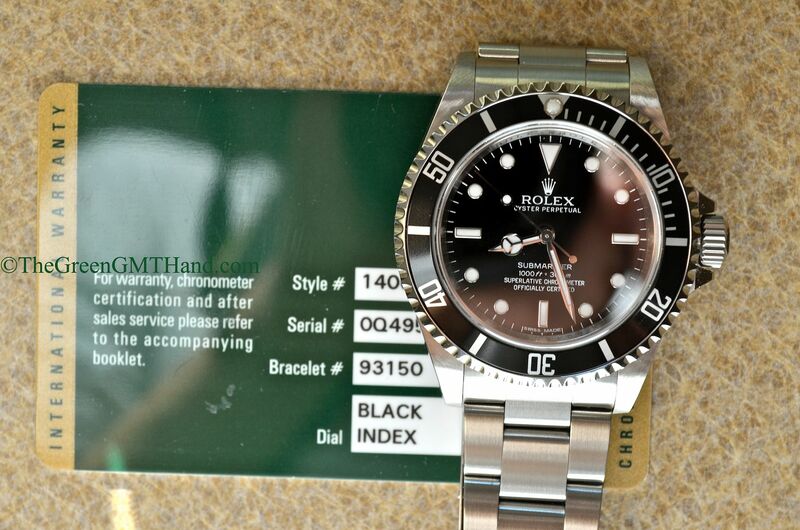 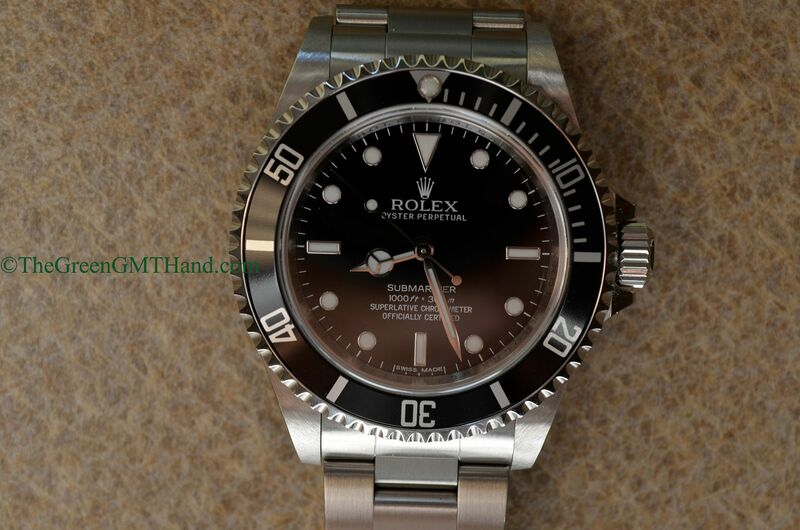 This random serial Rolex 14060m Submariner no date is the last ever serial number issue of the classic aluminum bezel Submariners as the 16610 date aluminum bezel Submariner was discontinued 2 years prior. 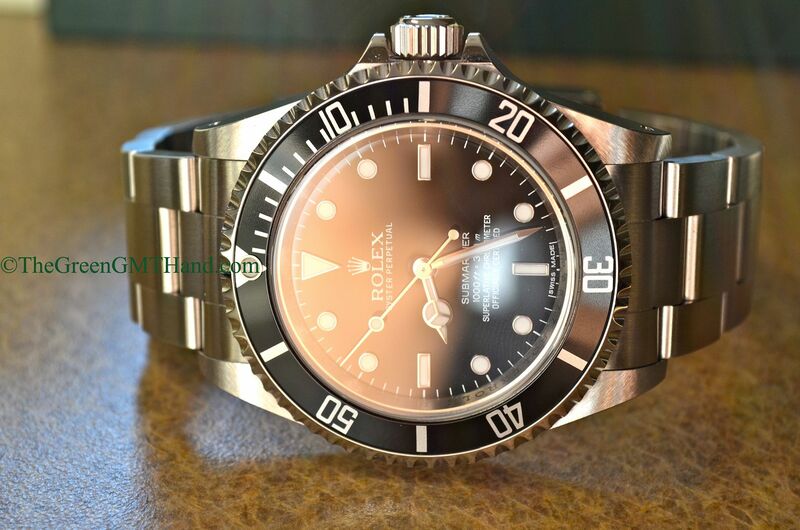 Its discontinue marks the end of an era as this is the last Submariner with the original slim profile lugs and aluminum bezel insert, as well as lug holes and non SEL bracelet. 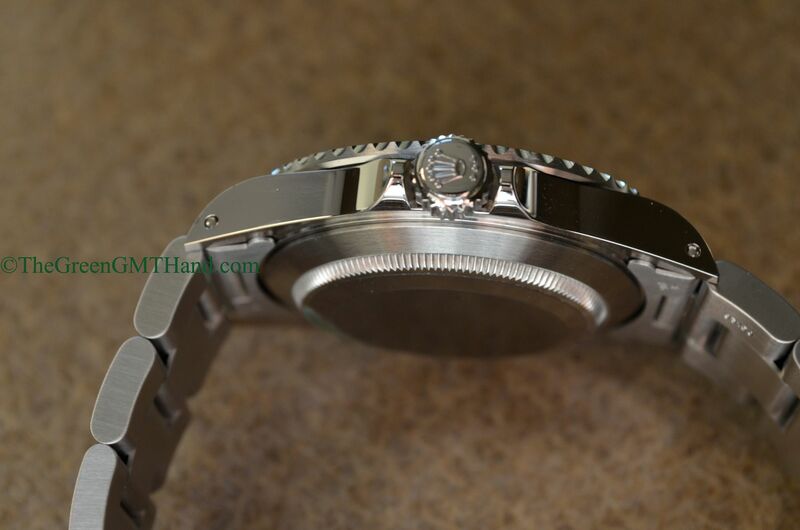 This last issue 14060m features the rare factory installed parachrom blue hairspring, a component found only on the G and random serial issues of this model. 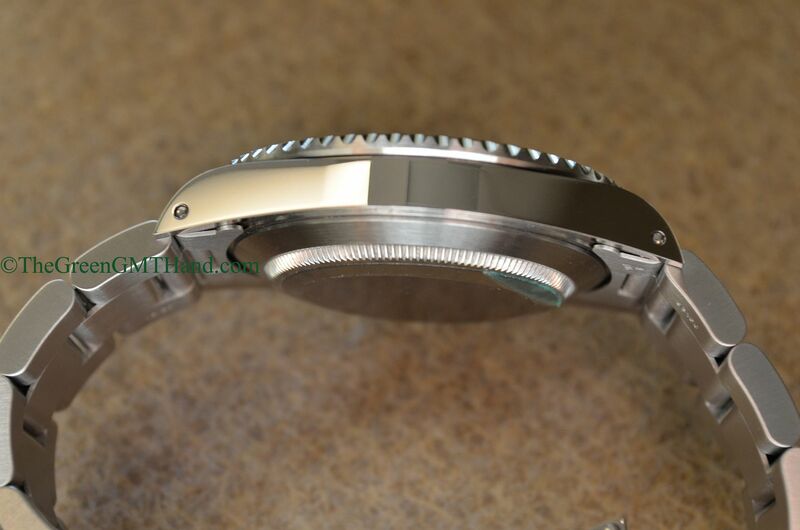 We also have the small feet dial as seen through the smaller font for “ft =” on the dial. 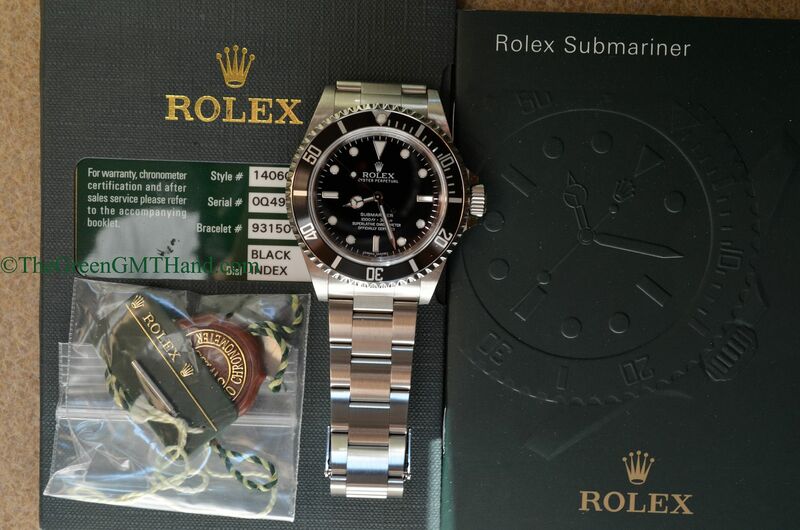 This is also the last Submariner with non SEL bracelet in its original 93150 diving bracelet- the new 114060 ceramic Submariner no date features a SEL glidelock bracelet. 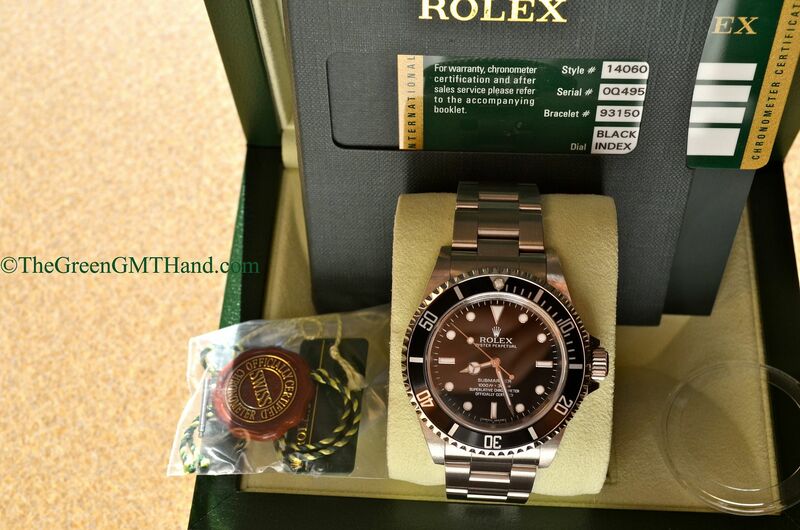 SOLD and delivered to our buyer as a complete set with all original boxes, paperwork, manuals, and both tags.